If you are looking for a wild addition to your casual furniture décor, try the Sitsational Lounger 1-seater in animal print leopard. This handcrafted and precision-sewn bean bag lounger provides great ergonomic support with its shredded polyester fiberfill interior made of 100 percent recycled material. Cradling your back, neck and head with strong support, the soft suede solid fabric provides comfort for your skin, and the handy side pocket holds all your accessories so you can relax and enjoy reading, music or television. Two sizes means there is a leopard print lounger fit for everyone in your family. 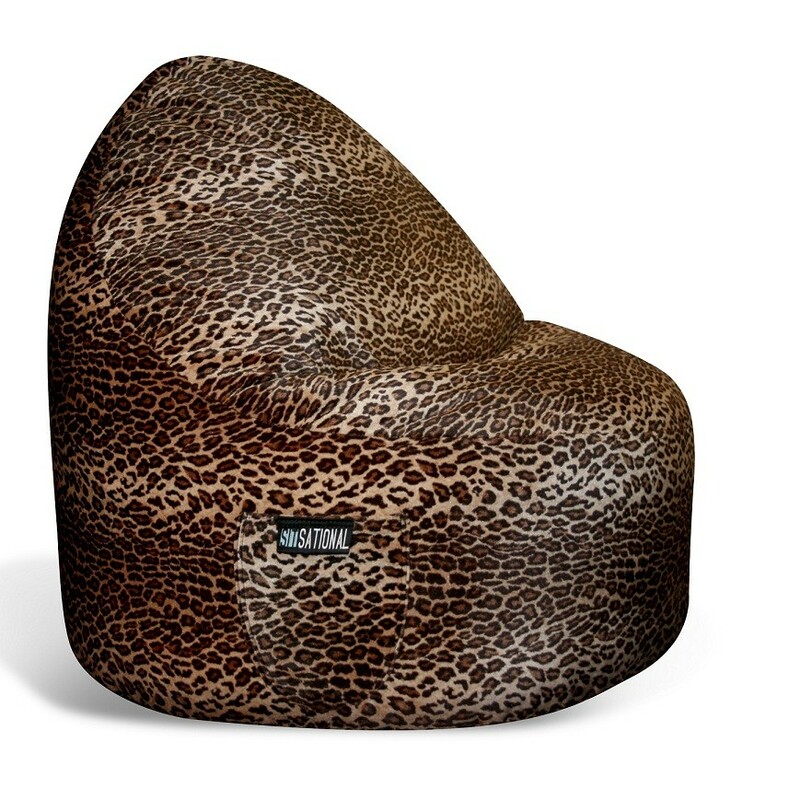 You can spot clean this seat easily with a damp cloth, and the suede leopard print covering gives your casual furniture scheme a punch of sassy fun. Whether you need junior furniture for a rec room or den or adult furniture for in front of the television, this bean bag lounger fits anywhere and provides instant seating solutions.